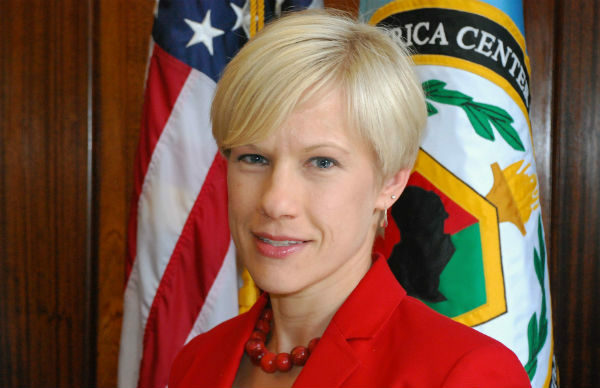 This month, we talk with Kate Almquist Knopf, who heads the Africa Center for Strategic Studies at the US National Defense University (NDU), Washington, DC. In our interview, Ms Knopf (1) describes ACSS’ mission and areas of activity; (2) highlights the African trends and developments that the Center is particularly interested in; (3) elaborates on what education, training and research services ACSS provides; and (4) describes the most pressing security problem that Africa faces today. Question: The Africa Center for Strategic Studies (ACSS) is dedicated to building strategic capacity and fostering long-term, collaborative relationships with African states. Can you tell us more about your mission and how you organize yourself to support it? ALMQUIST KNOPF: The vision of the Africa Center is to establish security for all Africans and to have it championed by effective institutions that are accountable to their citizens. Put another way, our focus is on advancing citizen security in Africa, strengthening relevant security and governance institutions, and enhancing accountability. We accomplish this mission through three major lines of effort. The first is targeted academic programs for African military and civilian personnel (from both government and civil society). These programs cover a wide range of African security issues—from seminars that focus on sharing best practices on security sector reform, managing security resources, etc., to workshops that address such security problems such as youth radicalization and environmental security. A second major line of effort is the publication of applied research. Our publications are authored by ACSS faculty members and independent scholars. These analyses are designed to generate evidenced-based insights and to facilitate an exchange of views on those strategies and practices that will most effectively advance Africa’s security. A third major line of effort entails building enduring partnerships among African and international stakeholders, primarily to foster exchanges on best practices and collaboration. Over 15,000 policymakers, practitioners and experts on African security issues from around the world have participated in Africa Center programs since our inception in 1999. We work to maintain relationships with as many of these alumni as we can. Question: Central to the mission of ACSS is the study of social, political and economic trends and developments in contemporary Africa. What trends and possible transformations in this fast-changing region is ACSS paying particular attention to? ALMQUIST KNOPF: The steep increase in violent extremist activity over the past several years has been a major focus area of ours. The rise of militant groups such as Boko Haram and al-Shabaab has had a devastating impact on stability and security in numerous countries across the continent. As a result, the Africa Center has paid particular attention on how to counter violent extremism, but from a multi-sectoral orientation. We are, in other words, especially interested in drawing the links between the drivers of extremism in Africa and other political, economic, and demographic patterns on the continent. We also keep a close eye on governance and democratization trends. We find that African governments are best positioned to address the security challenges within their borders when they enjoy popular legitimacy and are accountable to their citizens. While democratic institutions have grown in some parts of the continent, they have eroded elsewhere. This has been particularly evident in places where incumbents have sought to remove one of the most important checks on their power: constitutionally mandated term limits. Through our research, engagement, and academic programs, the Africa Center emphasizes the importance of building effective and accountable public sector institutions. Question: The demand for education, training and research services in Africa is growing. What roles does the ACSS perform in these areas? Other seminars and workshops are designed to convene experts and policy stakeholders so they can examine fast-moving security challenges and complex crises across the continent. The seminar approach we employ aims to facilitate candid exchanges between participants (practitioners and scholars, civilians and military professionals) in order to foster shared learning and to tap into the unique perspectives that each individual has to offer. Finally, I’d like to stress that our research is informed by and feeds into our academic programs. Our research publications, in fact, are included in the curricula of various professional military education and university courses. At the same time, our research, all of which is publicly available and online, is oriented to the broader African and international policy communities. The products are intended to provide accessible, distilled analyses as well as practical policy responses to Africa’s complex security challenges. Question: What, in your personal view, is/are the most pressing security concern(s) for the African continent, both now and in the future? ALMQUIST KNOPF: In my view, the most pressing security concern facing Africa is non-inclusive governance. The instability we see in Burundi, Central African Republic, Democratic Republic of Congo, Nigeria, and South Sudan, among other contexts, is often driven by the biased allocation of government resources. This inequitable practice then translates directly to graft; embezzlement; patronage systems; an unwillingness to invest in effective and accountable institutions, including security forces; and finally a deterioration in the ability of particular African states to provide basic levels of security for their citizens. With large segments of many African populations disadvantaged by resource diversions, the disparities in opportunity—for jobs, schooling, and social services—inevitably lead to feelings of relative deprivation, which then fester and fuel narratives of antagonism and distrust toward the government. These genuine grievances provide a ready opening for spoilers to mobilize social divisions on religious, ethnic, or regional lines. Indeed, in recent years, these social divisions have been increasingly exploited by domestic and international extremist groups to advance their particular agendas. To summarize then, inequitable governance contributes both directly and especially indirectly to insecurity. While we are drawn to and must respond to the symptoms of these inequities—insurgency, extremism, illicit trafficking, maritime insecurity, and organized crime—sustainably addressing instability in Africa will require strengthening more inclusive and accountable governance structures.